Bob Popovics is one of the great pioneers of modern saltwater fly tying, and his "Bob's Banger" series of popper flies have produced thousands of catches for saltwater anglers. With their bright reflective finishes, these flies really get the attention of marauding gamefish. 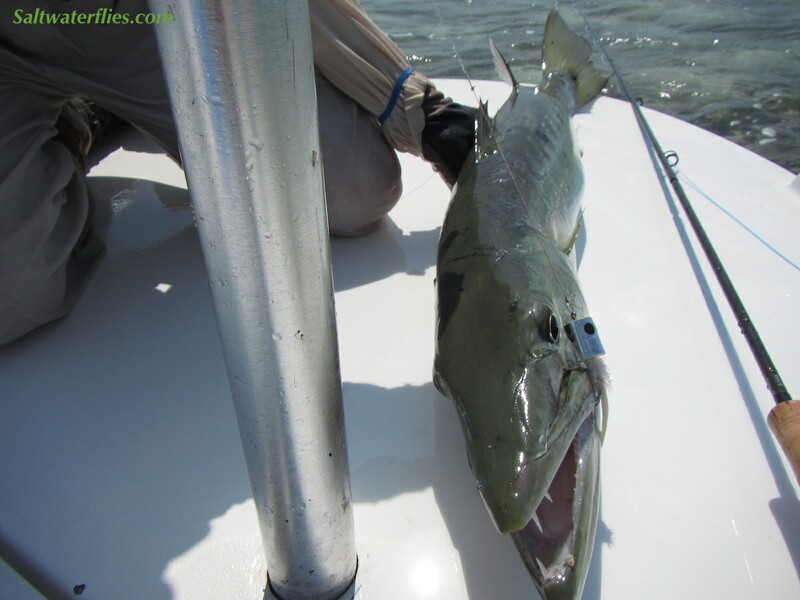 Stripers, bluefish, jacks and trevally, dolphin (mahi mahi), and more will chew on this thing! The Bob's Banger #4/0 fly is approximately 4 1/4 inches (11 cm) long...the #2/0 fly is approximately the same length, but is slimmer. Tied by Umpqua Feather Merchants. Similar patterns: Bubble Head Popper, Inshore Popper.